Our fine boxer-girl dog Allie left us yesterday. We could not help her anymore. Her demise was caused by Degenerative Myelopathy which is a genetic disease to be tested for by all and eliminated by breeders and there is no cure. First symptom of its destructive progressive being is a dragging rear leg. Many breeds are affected. 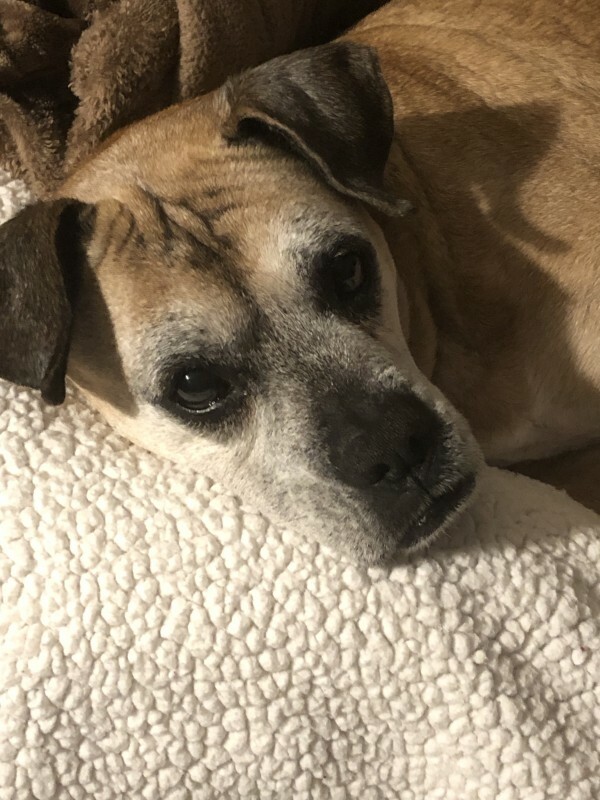 She was carried to us by Austin Boxer Rescue at 3 years old in 2011 after heartworm surgery, heart failure, overbreeding, and covered in old deep harness scars, She healed into a fine lady, loving and loved, so sweet and fun who most enjoyed just being near and laying in the sun. Too soon. We love her. What a girl! Thank you for bringing such a joy and love into our lives. Jake, also adopted from you, one of a litter of 6 who lived with us while finding homes, is still with us and will miss her.